Warning! Sorry, property # 734 unavailable now! Magnificently sculptured, this handsome high-ranch-style two-family home is majestic and elegant yet comfortable and unpretentious. Built in 1980, the house boasts an impressive 2,154 square feet, spread across two levels and a park-like outdoor area. Currently configured as a large three-bedroom four-bathroom “owners duplex” with one-bedroom income producing apartment, the property has it all. The first floor plan includes a gracious entry foyer with custom-built cabinets and a separate family or playroom, which allows for the family to spread out, relax and play in style. The second floor is tastefully designed in classical style. Dinner parties, large or small are easily hosted in this palatial size living room, complimented with gleaming ceramic tiles floors, and oversized windows, all that create a stunning visual and color palette blended with bountiful rays of sunshine that pour in and fill the place with light. The kitchen, which is paired with an adjacent offset dining area, boasts an absolutely gorgeous modern design along with cutting-edge high-grade appliances. The master bedroom suit is wrapped in quiet elegance, filled with morning sun and enjoying its eastern exposure, this will surely be a place you come to recharge. Additionally there are two more comfortable size bedrooms served by spa-like four-piece bathroom. 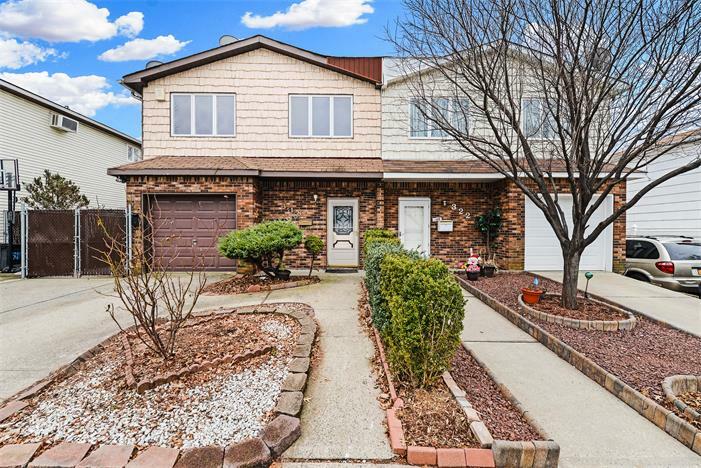 Continuing to the lower level, there is a well-designed finished basement with handsome tile floors, great ceiling heights, ample of storage space, laundry room, and a partial bathroom for extra comfort. The backyard is incredibly spacious and includes an above-ground pool and a lounge area to keep your guests relaxed and comfortable. The second unit is a cozy convenient one-bedroom apartment that is perfect for additional income or for a family member who wants additional privacy. The outdoor space is optimized for rest, relaxation and comfortable recreation with family or friends, and you won’t hesitate to spend hours relaxing by the pool or enjoying drinks in the shade.